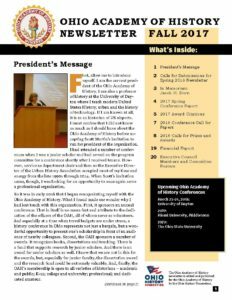 The Fall 2017 Newsletter is here! Click the image to download the newsletter. In the newsletter, you will find the President’s Address from the 2017 spring conference, minutes from the last 3 Executive Council meetings, and much more!